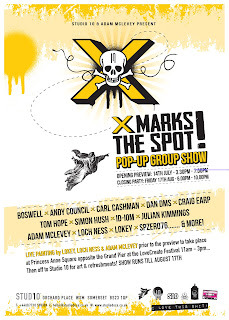 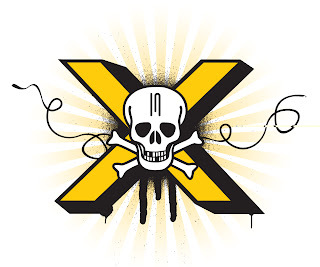 X Marks the Spot Opening Party - Saturday 14th July, 3.30pm - 7.00pm. 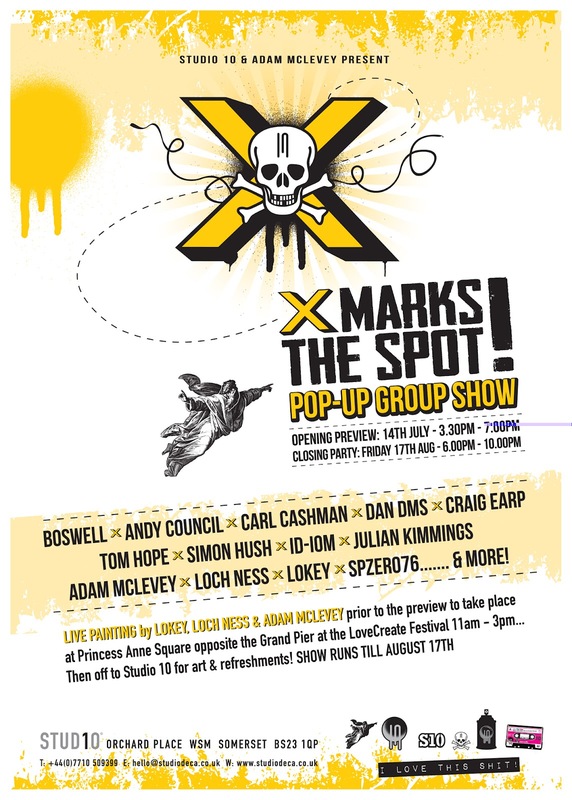 This promises to be a great day of live painting, some really cool art and artists and the brilliant LoveCreate festival!! 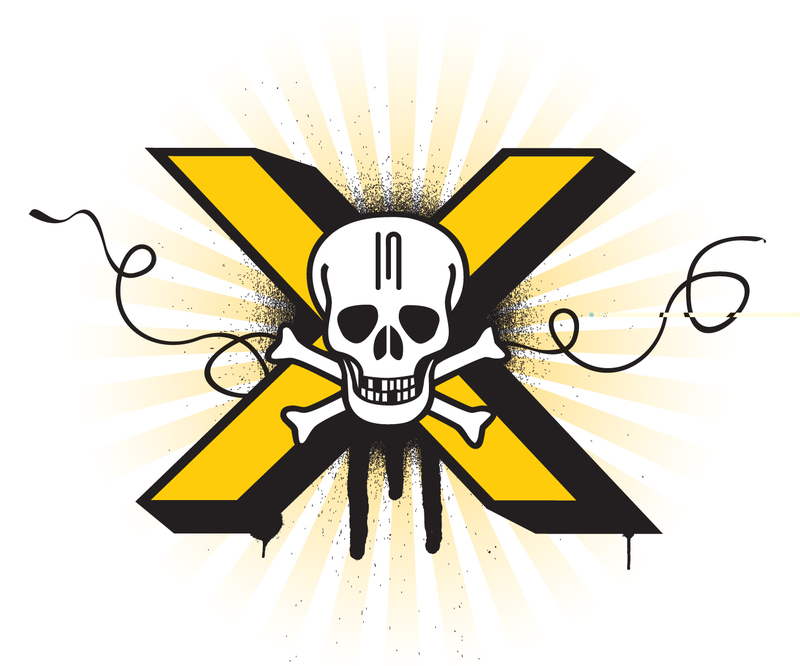 Now somebody tell the weather to behave itself.